Halitosis, more commonly referred to as bad breath, describes a condition in which an unpleasant smelling odor is emitted from the mouth. In the large majority of cases, bad breath posses only a temporary problem. But for some people, it may appear to persist throughout the day, and when this occurs, it’s referred to as chronic bad breath. Bad breath is usually a temporary condition that can be reversed by self intervention. 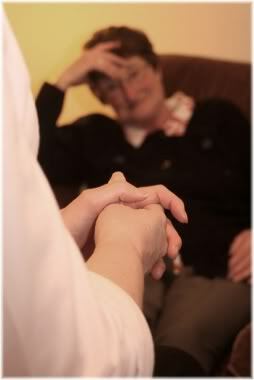 In some cases, however, it may exist as a chronic condition and require medical assistance to overcome. Anyone who suffers from unpleasant smelling mouth odors will usually try to take some action against it, that is, providing they are aware that they have bad breath. This, unfortunately, is often not the case, as many sufferers of bad breath do not realize how badly their mouth smells until a friend or colleague mentions it to them. As a result, a person could potentially suffer from bad breath for many years until they finally do something about it. 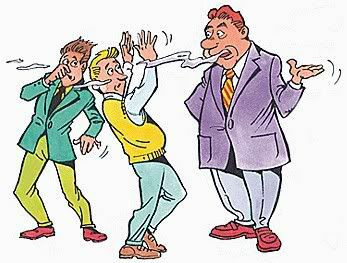 Most people don’t notice that they have bad breath until someone mentions it to them. The most common treatment for bad breath involves the use of chewing gum or breath fresheners. These, however, only provide a temporary fix and do not address the root cause of the problem. So until the core issues are addressed, that person’s breath will continue to smell and they will always need to rely on measures to disguise it. One of the reasons why people fail to detect when their breath smells badly, occurs due to the fact that when one is exposed to the same odor for a period of 10-15 minutes, that odor appears to disappear and can no longer be smelled. In other words, you become used to your own smell and so your brain stops registering it as something which you should pay attention to. Exactly the same thing occurs with one’s body odor. A person can have very bad body odor, but because they are exposed to it all the time, they don’t think that they smell when in reality others find their smell extremely offensive. Cup your hands in front of your face covering your mouth and nose. 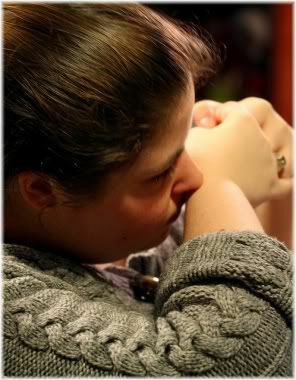 Breathe deeply into your hands and see if your breath smells. Alternatively, you can use a small plastic bag and see if the air that you breath into the bag smells. Breathing into your hands is a poor indicator of how your breath really smells. 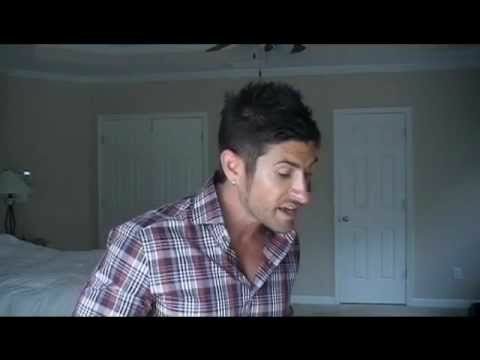 This is a very common way of self testing for halitosis, but it’s actually not a very effective method for doing so. Most people won’t be able to smell anything, and so they may be falsely led to believe that their breath doesn’t smell when it actually does. Since halitosis is usually caused by a build up of bacteria on the surface of your tongue, a quick way to find out if your breath smells is to take your finger and rub it along the middle and back sections of your tongue. 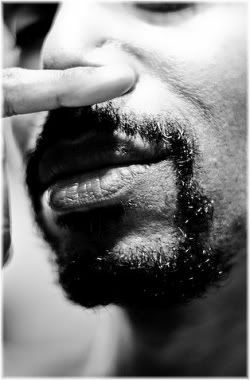 After you have done this, smell your finger. If it smells, then you may want to try brushing your tongue in the morning or buying yourself a tongue scraper. Gently scrape your finger or a spoon across the surface of your tongue and then smell it. Please note though, that if you use this method you should only do so with clean hands, as otherwise you risk transferring bacteria from your fingers into your mouth. An alternative to using your finger is to use a spoon instead. Simply drag a spoon down and along your tongue, wait a few seconds, and then smell it. Licking and then smelling your wrist is the quickest and most hygienic way of testing for bad breath. The most effective way to test the smell of your breath is to lick the inside of your wrist with as much tongue as you can. 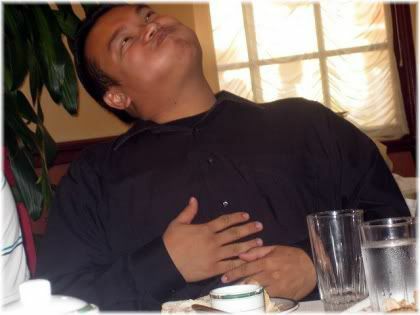 After a few seconds, as the saliva on your skin begins to dry, smell the licked area. This will give you a good indication as to how badly your breath actually smells. Bad breath meters can usually be found in chemists or purchased online. They involve breathing onto a small device, waiting a few seconds, and then receiving a score as to how badly your breath smells. A bad breath meter measures the levels of certain chemicals in your breath to produce a reading of how badly your breath smells. Such devices can be a great way to determine if you have halitosis, and they can also be useful if you are trying to improve the way your breath smells. 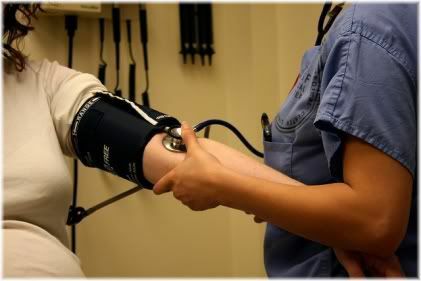 This is because you will be able to accurately gauge the effectiveness of any preventative measures or treatments that you are undergoing, rather than having to rely on your own judgement which may not always reflect the judgement of others. Although the methods described above can help you to determine if you have halitosis, often, the most effective way to identify foul-smelling mouth odors is to ask a friend. This is because they will be smelling breath which is not their own, and so will quickly be able to detect any unpleasant smells. Of course, in order to do this, you need to have a friend who you can trust and feel comfortable asking such a question. If you don’t have such a friend, try asking a relative as they will usually give you an honest answer. Not everyone may want to smell your breath, so choose who you ask carefully! How you go about asking a friend if you have bad breath is up to you, but make sure you tell them you want an honest answer because it’s something that you’re concerned about and want to do something about. If you have very bad breath, they should be able to tell you this without needing to smell your mouth up close as they will smell it when you are talking. If you are not able to ask anyone, pay attention to how people stand when you talk with them. If people avoid getting close to you, or back away when talking to you, then these may be signs that indicate you are suffering from halitosis. Dentists look into mouths all day, and so will approach the subject in a non-judgemental and professional manner. Dentists are used to looking inside people’s mouths and can quickly determine the overall health of your teeth and gums just by looking at them. They are also used to dealing with different odors from different mouths. If you are concerned about having halitosis, tell your dentist about it as they will be able to identify if you do and suggest possible causes. The most common cause of halitosis occurs due to poor oral hygiene habits. For example, not brushing your teeth in the morning and at night can lead to an overgrowth of anaerobic bacteria which then causes the breath to smell. Likewise, incorrect brushing habits, or rushed brushing, can result in the mouth not being properly cleaned thereby allowing bad breath causing bacteria to flourish. In an unclean mouth, bacteria can also feed on trapped food particles between the teeth that have been left over from previous meals. When the bacteria begin to feed and multiply, they emit a sulfurous waste product that gives your mouth the characteristic odor associated with bad breath. Due to the fact that bad breath predominantly occurs as a result of bacterial build up on the gums, teeth or tongue, you can quickly determine if you have bad breath by looking at the overall condition of your mouth. To start with, look at your gums. If your gums are red and swollen, or they bleed after you brush your teeth, then you may be suffering from bad breath as a result of bacteria on and under the gums. 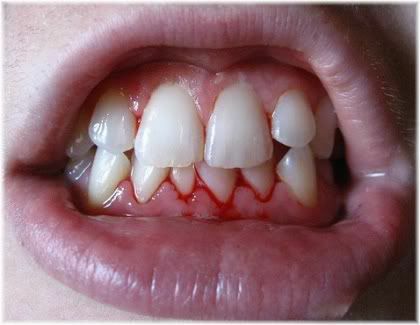 Bleeding gums after brushing teeth may indicate gingivitis due to poor oral hygiene habits. You may also notice a white film coating your gums, which again can indicate an overgrowth of bacteria. If left untreated, these bacteria will not only make your breath smell, but they could also cause gum disease and even gum recession. Another place to look is at your teeth and tongue. If your teeth or tongue have a slight coating over them, then this indicates a build up of bacteria (biofilm) which can be made worse by eating a diet high in sugar. A white coating on tongue is usually caused by an overgrowth of bacteria or yeast. You should be able to feel this coating over the surface of your teeth with your tongue, and see the coating on the surface of your tongue as a white or yellowish color. If you have a dry mouth it means that you are dehydrated and have low levels of saliva. Salvia is important because it helps to digest food, stabilize pH levels, and keep your mouth clean by controlling bacterial levels. If your saliva levels drop below a certain amount, the health of your mouth starts to suffer and so does the smell of your breath. Saliva is important for keeping the mouth clean and healthy, but levels can be reduced when you are dehydrated. When you don’t have enough saliva in your mouth, a condition known as xerostomia, there will be less oxygen in your mouth because one of the roles of saliva is to oxygenate the mouth. With low levels of saliva, and therefore oxygen, an anaerobic environment is created which allows the bacteria already within the mouth to breed rapidly. As these bacteria grow, feed and reproduce, they release a sulfurous waste product that gives bad breath its characteristic foul odor. The compounds released by these bacteria can then affect how the breath smells in different ways. For example, your breath could end up smelling like feces (Methyl mercaptan), decaying flesh, garbage rotting in a garbage dump, rotten eggs (hydrogen sulphide) or even smell like a decaying corpse! It’s important to note though, that these bacteria naturally exist in the mouth, and in a healthy mouth, their levels are kept under control. But in an unhealthy mouth they grow quickly, and when they do, your breath starts to smell. 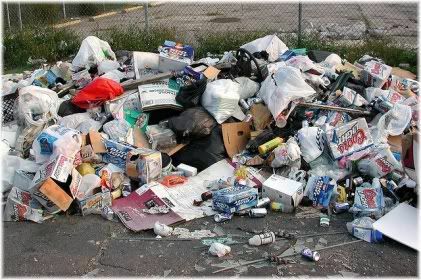 Waste products from the bacteria responsible for causing bad breath can produce distinctive odors, one of which, is the smell of rotting garbage. Finally, some medications list a dry mouth as a side effect. These can include: birth control pills, decongestants, antidepressants, high blood pressure medicines, hormone replacement medicines, antihistamines and indigestion medication. If you are taking any of these medications, you may therefore be at an increased risk of suffering from bad breath due to reduced saliva production. In the large majority of cases, the primary cause of bad breath originates from the tongue. It stands to reason, therefore, that the condition of your tongue can affect how badly your breath smells. For example, if your tongue has lots of cracks or grooves in it, usually due to a vitamin B deficiency, bacteria are more likely to grow on the tongue because they have somewhere to hide. Cracks on the surface of the tongue make it easier for bacteria to hide and grow. A “hairy tongue” can also increase one’s susceptibility to suffering from bad breath. This occurs when the bumps on your tongue, called papillae, are longer than average due to the effects of poor dietary habits, medications, or one’s genetic makeup. With a hairy tongue, the elongated filiform papillae increase the surface area of the tongue. One of the consequences of this, is that bacteria or yeast are able to more easily colonize the tongue due to the shelter they receive from the elongated papillae. 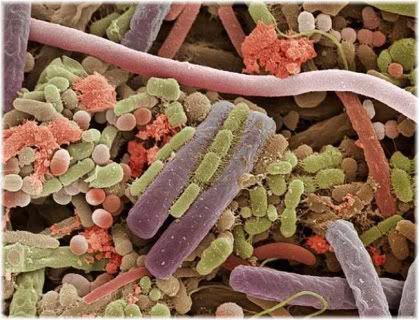 Bacteria on the surface of the tongue. The actual color of the tongue, however, is usually caused by factors other than bacteria. For example, smoking, drinking coffee, or eating brightly colored candies can all result in the tongue taking on an abnormal looking appearance. Although it looks worse than it is, a hairy tongue can make it more likely for one to suffer from bad breath. So if you are suffering from bad breath, it’s definitely worth looking at the condition of your tongue. A tongue which is in a bad condition will make it much easier for bacteria to grow, and so also much more likely that you will suffer from halitosis. There are two types of bad breath that occur as a result of the foods you eat. The first, is known as temporary halitosis, and occurs when you eat foods such as garlic, onions, cabbage or curry. Temporary halitosis may also be caused by smoking cigarettes or by drinking too much coffee. In such cases, simply reducing or eliminating your intake of the offending food or drink can prevent you from suffering from food related halitosis. Certain foods can make your breath smell, but the odor they leave behind will soon pass. 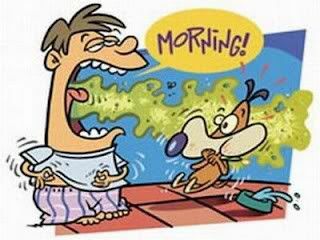 The second type of bad breath caused by food, occurs as chronic halitosis where you have bad breath all the time. This tends to be caused mainly by eating lots of sugar (including fruit sugars) or refined carbohydrates throughout the day. Such foods are essentially like giving the bacteria in your mouth fertilizer, and so can result in a rapid overgrowth of bacteria that produces a persistently foul-smelling mouth. A more serious form of bad breath can be caused by a diet that is high in sugar. Furthermore, those with a bacterial overgrowth on their tongue are also likely to suffer from an intestinal candida yeast infection. However, as the condition of your teeth and mouth improves, the candida yeast will eventually return back to manageable levels. But during this transition period you may notice periods of reduced mental clarity, or brain fog, as a result of a candida die-off reaction. 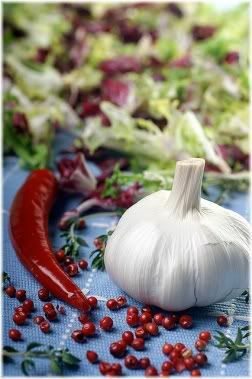 This process can be sped up by taking a high quality garlic supplement such as AllicinMax or Allimax. Smoking can affect your breath in two ways. The first is a temporary effect and occurs while you are smoking a cigarette and shortly after you have finished it. This gives you the characteristic smoker’s breath, and if anyone kisses you after you have been smoking, they may describe it like kissing an ashtray for this very reason. Persistent bad breath can be caused as a result of the adverse effect that smoking has on the health of the oral cavity. Smoking can also have longer term effects by adversely affecting the health of your teeth and gums. For example, smoking increases your risk of gum disease which occurs when bacteria become established under your gum line. Since it’s difficult for the average person to clean properly under the gum line, this can lead to a persistent bad smell until those bacteria have been removed. This, however, usually requires a trip to the dentist. Dentures can be a major cause of bad breath in the elderly if they are not cleaned properly. The main reason for this is because dentures tend to trap food particles quite easily, which, if left to decay, can quickly cause bacteria to become established on the dentures. 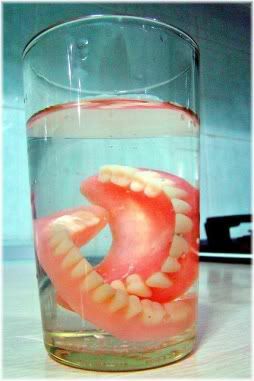 Dirty dentures provide a haven for bacteria to grow. The best way to avoid bad breath from dentures is simply to ensure that they are thoroughly cleaned after each meal, and that they do not contain any trapped food particles within them. A lesser known indirect cause of bad breath is improper food digestion. 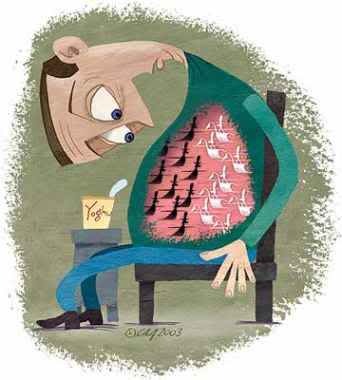 This occurs when you eat too much in one sitting, and then it’s later regurgitated producing a sickly taste in the back of the throat that increases bacterial growth. Food that’s regurgitated into the throat and mouth may encourage an overgrowth of bacteria. Improper digestion can also be caused by not chewing your food properly, or by not chewing it for long enough before you swallow. In this case, your breath may smell badly when you burp. Fortunately, this can be quite easy to remedy, as all you have to do is to eat less and chew more. If you are feeling bloated after meals, then you may also benefit from taking a digestive enzyme supplement, such as pancreatin, with your meal. Sometimes a person may suffer from halitosis even though they have good oral hygiene habits and visit their dentist on a regular basis. In such cases, the cause of their bad breath may be due to a more serious underlying condition such as a metabolic disorder. Sometimes bad breath may be a sign of an underlying medical condition. One such disorder is diabetes, which can cause a build up of ketones in the blood. Since one of the ways that the body gets rid of ketones is through the breath, diabetes sufferers may experience bad breath as a result of their condition. Other conditions, such as liver or kidney problems, may also produce similar effects. However, it should be noted that sometimes a change in diet can cause halitosis. For example, a high protein and low carbohydrate diet can lead to ketosis which subsequently makes your breath smell although usually not for very long. Another more serious cause of halitosis occurs due to post nasal drip (PND). Post nasal drip bad breath is caused by mucus from the nose seeping down into the throat and then onto the tongue. As the mucus begins to coat the tongue, it starts to produce a foul smell which can sometimes be extremely overpowering. 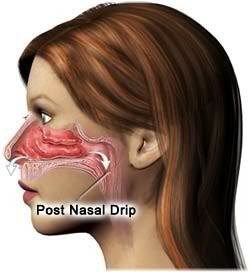 Post nasal drip occurs when excess mucus seeps into the throat. It can result in persistently foul-smelling breath. Apart from seeking medical treatment for this condition, usually the most effective way to avoid post nasal drip halitosis is with a tongue scraper. This can be used to scrape off the mucus that collects on the tongue, thereby reducing the build up of bacteria that leads to foul-smelling breath. If you have bad breath, the first thing you should do is to ensure that your mouth is properly cleaned in the morning and at night. In particular, you need to pay attention to three areas: your teeth, your gums, and your tongue. Throughout the course of a day you may notice a coating over the surface of your teeth. This coating is bacteria, and when you brush your teeth, you should aim to remove as much of it as you can. To brush your teeth properly, move your toothbrush in a circular motion at a slight upward angle so that you clean both the teeth and the gum line. 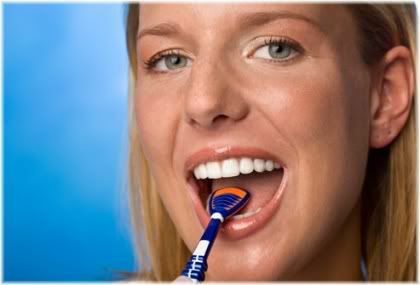 If you have an electric toothbrush, it will do the correct brushing motion for you. Think you brush your teeth well? Try using a disclosing tablet and you will probably be surprised at just how unclean your teeth are after brushing! To judge the effectiveness of how well you clean your teeth, the use of a disclosing tablet is recommended. 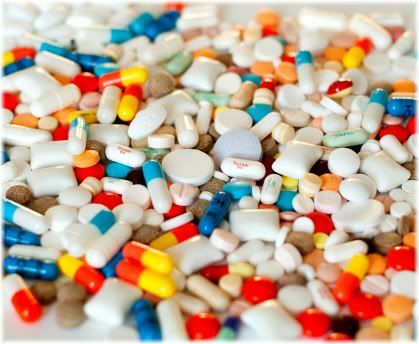 Disclosing tablets will stain your teeth either a blue or pink color in the areas where bacterial plaque still remain. Once you are able to see the areas where you are not cleaning your teeth well, you can then train yourself to brush more thoroughly in those areas. In addition to brushing your teeth, it’s also good practice to floss as this will ensure that no food particles are left trapped between your teeth. You can purchased dental floss as string or attached to a small toothpick like device to make flossing easier. Although it’s a pain to do, flossing regularly will help to prevent food from decaying between your teeth. Finally, examine your gums underneath your lips. If you notice any white coating on your gums, brush them gently with your toothbrush or use your finger to remove the coating. In the large majority of cases, halitosis comes as a result of a bacterial overgrowth on the tongue. This is visible as a white or yellowish coating on the tongue’s surface. The best way to deal with this is to brush your tongue with a toothbrush or to use a tongue cleaner/scraper instead. Most of the time, bad breath is caused by bacteria on the tongue. A tongue cleaner can therefore prove to be an invaluable tool for combating bad breath. Both are very effective at cleaning the tongue, although a tongue scraper is generally recommended over a toothbrush because over-brushing the tongue can lead to the development of “burning tongue syndrome” (BTS). This is a condition in which the tongue becomes overly sensitive to hot, cold or acidic foods, and can result in the taste of food being altered or causing some foods to taste unpleasant. When cleaning the tongue, be sure to clean all of it and not just the center. In particular, you want to ensure that the very back of the tongue, near the throat, is properly cleaned because that’s where bacteria are most likely to grow. Pay particular attention to the back of the tongue, as that’s where most of the bacteria are. Be warned though, that cleaning the back of the tongue may make you gag. So it can take a bit of getting used to before you feel comfortable doing it. 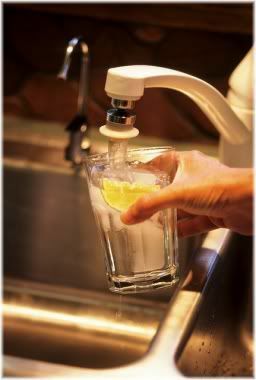 The throat can be cleaned quite effectively by gargling a non-alcoholic mouthwash* or by using a salt water solution. It is most beneficial for those who have bad breath that emanates from the throat, such as those with post nasal drip. Although gargling can help to improve your oral health, it shouldn’t be relied upon as your primary treatment. An alternative to gargling is oil pulling. This involves putting some oil into your mouth, such as olive oil, vegetable oil, or coconut oil, and then swirling it around and between your teeth for 20-30 minutes until it starts to become watery. Oil pulling can be very effective in helping to cleanse the whole mouth, especially if an antibacterial oil is used, such as tea tree oil, in addition to removing trapped food particles between the teeth and reducing the levels of bacteria under the gum line. * Non-alcoholic mouthwashes are preferred as some studies have found a link between the use of alcohol based mouthwashes and mouth cancer. Herbs make great natural breath fresheners. Some of the best to try for bad breath are fenugreek, whole clove buds, mint leaves, fennel seeds, anise, cinnamon, peppermint and parsley. Some of these, such as mint and parsley, can be grown quite easily on your kitchen windowsill, or in your garden, thereby ensuring that you will always have a plentiful supply. Herbs can be chewed as a natural and tasty breath freshener. 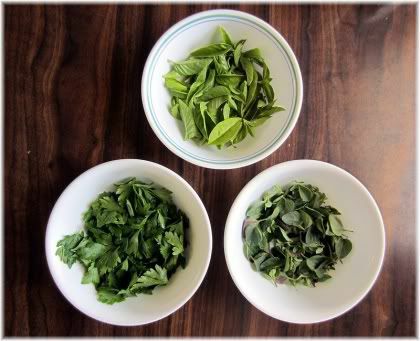 Herbs can be used just like breath mints, so all you have to do is chew and then spit out the herb when the flavor is gone. As an added benefit, many herbs are also antibacterial, and because they are natural, they also won’t contain any artificial sweeteners, such as aspartame, which are usually found in store-bought breath fresheners and chewing gums. As discussed previously, when the body becomes dehydrated the levels of saliva in your mouth start to decline. When that happens, the bacteria which are normally kept in check by your saliva begin to grow rapidly. As these bacteria reproduce and leave behind waste products, the odor emitted from the mouth gets progressively worse and more offensive. The simplest way to determine if you are dehydrated is by looking at the color of your urine. Urine that is dark yellow, for example, indicates that your body is very dehydrated. Although, it’s important to note that urine can also turn dark yellow as a result of consuming vitamin B supplements. If you find that your mouth is becoming dry, drink some water as soon as possible to rehydrate yourself. In addition, you can also try chewing gum as that will help to further stimulate saliva production. If you don’t chew your food when you eat, but instead tend to gulp it down, then there’s a good chance that you are not properly digesting your food. Undigested food can cause off-gassing from the stomach, which then passes out your mouth as a smelly burp. Digestive enzyme supplements taken after a meal can help to ensure that your food is digested better, which should then improve how your breath smells. 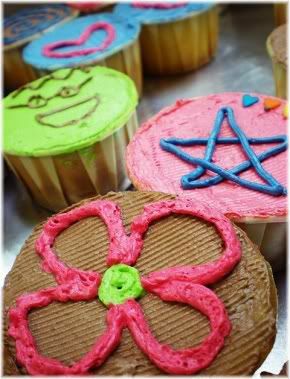 Improved digestion of the food you eat can help to prevent or reduce the occurrence of smelly burps. Plant based enzymes tend to work best as they carry out their digestive action for longer in the intestinal tract, but they do tend to be quite expensive. A cheaper alternative, which also works well, is an animal derived enzyme called pancreatin which contains amylase, lipase and protease enzymes to digest carbohydrates, fats and proteins. Vitamin C is good for your gums. 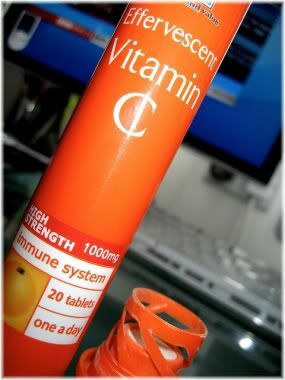 Vitamin C helps to keep your gums healthy. When your gums are not healthy, it’s usually because there’s bacteria that have established themselves under the gum line. This can cause halitosis by itself, although it can also cause more serious problems such as gum infections, gum recession and decaying teeth. 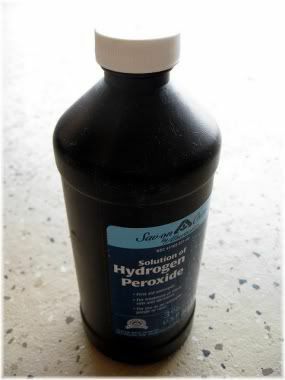 Hydrogen peroxide can be used as a disinfecting mouthwash. Food grade hydrogen peroxide can be used as an effective mouthwash for bad breath. You simply use a 3% hydrogen peroxide solution in a 50/50 dilution with water, and then swirl it around your mouth for 30 seconds. Many toothpastes contain baking soda due to its remarkable cleaning properties. 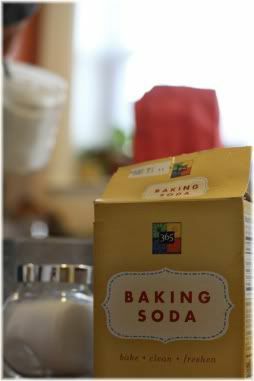 An alternative to hydrogen peroxide is to use a weak baking soda solution instead. Baking soda can be found in some brands of toothpaste, although you should be careful how much of it you use because it could potentially damage the enamel of your teeth. 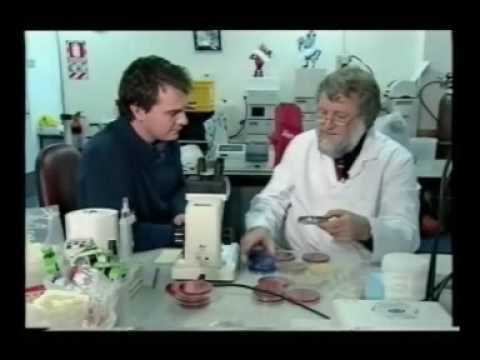 Dr Gerard Judd, author of “Good Teeth From Birth to Death”, promoted the use of bar soap as a replacement for toothpaste. Soap can be used instead of your regular toothpaste. Just put some bar soap on your toothbrush and then brush as you normally would making sure not to swallow. You’ll be surprised at how clean and fresh your mouth is afterwards! 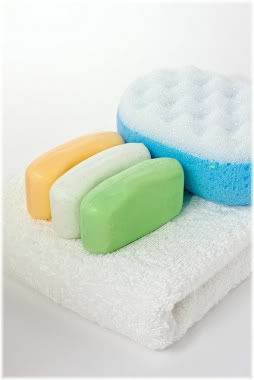 If you brush your teeth and tongue with soap, it’s preferable to use white bar soap as colored soaps have additional ingredients added to them as do liquid soaps. Studies have shown oral probiotics to be effective at reducing levels of the bacteria that cause mouth odors. Oral probiotics, such as Streptococcus salivarius, Lactobacillus salivarius and Bacillus coagulans, can be beneficial for boosting the immune system and regulating the balance of good bacteria vs. bad bacteria in the mouth. As a result, if you have bad breath, you may seriously want to consider the use of oral probiotics, as studies have shown them to be effective at reducing the levels of bacteria responsible for causing mouth odors. Alternatively, eating fermented foods, such as sauerkraut, can provide similar benefits, and you can also take Lactobacillus acidophilus and Bifidobacterium lactis probiotic supplements for further benefit. 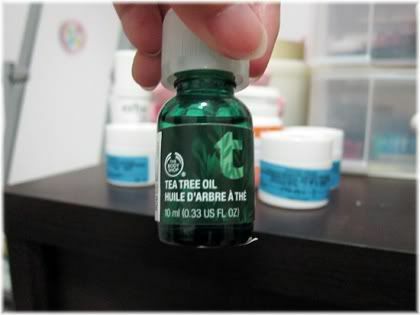 Tea tree oil is a natural antibacterial oil. Tea tree oil is a natural antibacterial oil and can be used to kill bad breath causing bacteria when you brush your teeth. Simply add one or two drops to your toothbrush before you brush, or add a few drops to another oil, such as coconut oil, if you are oil pulling. Some halitosis sufferers have had great success using homeopathic remedies designed to treat bad breath. Prince Charles, a supporter of homeopathy, believes homeopathic treatments can offer great benefits for a wide variety of health conditions. 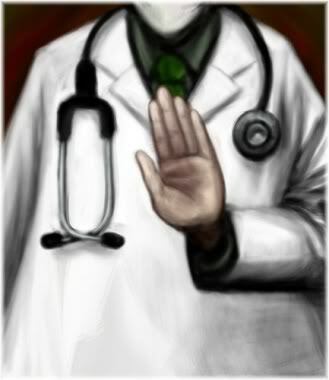 But the medical establishment isn’t quite so sure as to the effectiveness of this treatment. 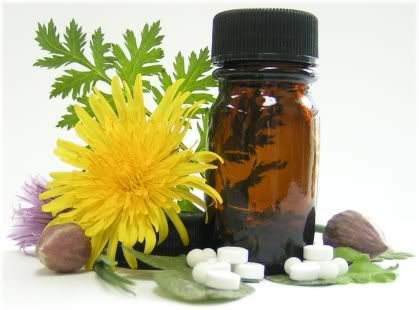 However, in order for such treatments to be effective, it’s important that you go to an experienced and respected homeopathic practitioner so that they can create a remedy based upon the coating on your tongue and the type of smell that your breath emits. 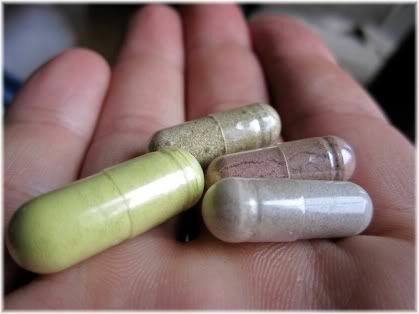 The more individually tailored your homeopathic remedy is, the more successful it is likely to be. Some common homeopathic remedies used to treat bad breath are antim, psorinum, pulsatilla, sulphur and nuxvomica. Although the large majority of halitosis sufferers can improve the way their breath smells by improving their oral hygiene and dietary habits, for some people, it seems that no matter what they do they just can’t seem to get rid of their bad breath. 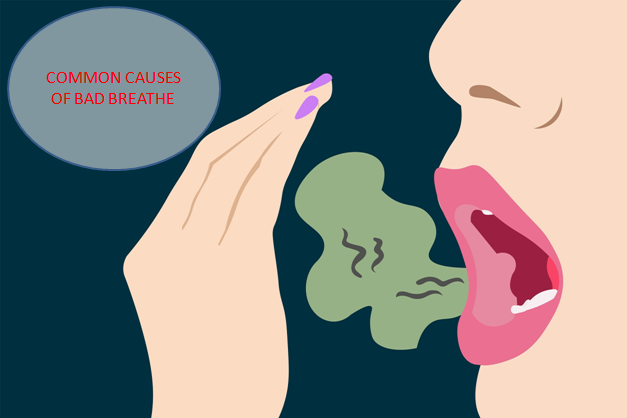 Halitosis can sometimes be caused by an underlying health condition which you are unaware of. For example, diabetes, liver disease, lung infections, and digestive system disorders, can all cause persistent bad breath. The only way that you will find out if you have a disease or infection that’s causing your breath to smell badly, is by going to see your doctor. If they find something wrong, and they can treat it, there’s a very good chance that the smell of your breath will also improve. Drug based treatments can, on occasion, be used to treat bad breath that’s being caused by an underlying health condition. Although medicines can be prescribed to treat bad breath, they should only be used as a last resort as all medicines have side-effects. For example, if your bad breath is caused by an infection, your doctor may prescribe antibiotic, anti-viral or anti-fungal medication. If your bad breath is due to inflammation or an autoimmune response, then steroids may be prescribed. There is also medication available to increase saliva production to treat halitosis caused by a chronically dry mouth (xerostomia). Inflammation of the tonsils can make it difficult to treat mouth odors. For this reason, surgery may be necessary. Chronic halitosis may be caused by tonsillitis as a result of discharges from the tonsils. If your bad breath has been identified as a result of chronic tonsillitis, then you may benefit from having your tonsils removed by undergoing tonsillectomy surgery. If your bad breath has been diagnosed as being caused by an infection of the tonsils, a promising new laser treatment may finally provide the cure that you’ve been searching for. 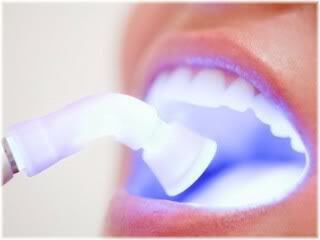 The so-called “bad breath laser treatment” uses a laser to destroy infected tissue on the tonsils. The laser first kills any bacteria that have infected the tonsils, and then seals up the grooves and pits on the tonsils with scar tissue so that bacteria cannot reinfect them. A laser can be used to remove bacterial growth on tonsils and eliminate the need for invasive surgery. 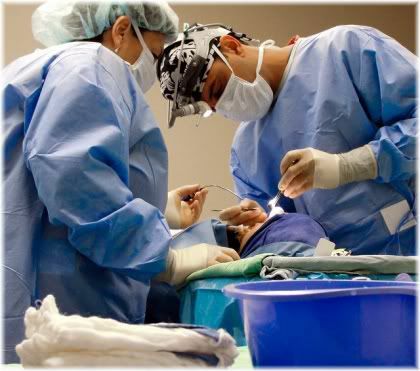 The whole procedure takes roughly 15 minutes, is relatively pain-free, and is a much better option than having your tonsils surgically removed. Most patients require only one treatment, and when they have fully recovered, they usually notice a big improvement in the way that their breath smells. Some patients, however, may require two or three additional treatments depending on the severity of the infection which they are suffering from. Although laser treatment can be an effective way to treat halitosis, it’s important that you have been diagnosed as suffering from an infection of the tonsils and that this has been identified as the cause of your bad breath. Otherwise, this treatment is unlikely to be effective. Alongside your own oral hygiene habits, it’s good practice to get into the habit of seeing a dentist on a regular basis. Despite your best efforts at cleaning your teeth, there will invariably be areas of your mouth that you fail to clean or cannot clean using standard methods. It’s always a good idea to get your teeth properly checked and cleaned by a dentist, as they will be able to clean areas of the mouth that you can’t. A dentist will be able to clean the areas of your mouth which you cannot, in addition to assessing the overall health of your teeth and gums. They may find, for example, that your gums are red and inflamed which generally indicates a bacterial infection (gingivitis) that itself could cause bad breath. Dental caries and rotten teeth can be a cause of chronic bad breath, so unless caries are cleaned and filled in, or rotten teeth extracted, your breath will continue to be affected by them. Bad breath not only affects a person physically, but it can also affect them mentally. As a result, people with bad breath may become self-conscious talking to others, being close to others, and forming intimate relationships with others. Having someone to talk to can help you cope with the psychological symptoms of bad breath until you find an effective treatment to deal with the physical symptoms. This can have a devastating effect on their levels of confidence and self-esteem, causing them to become socially withdrawn and depressed. So if you are finding it difficult to cope with bad breath, you may therefore want to try counselling to help you with the mental effects whilst you find a solution for the physical effects.